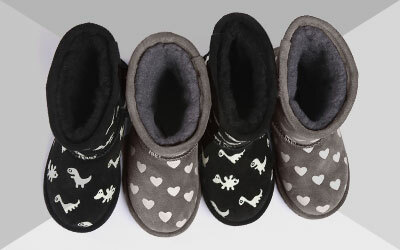 Shop the latest styles of EMU Australia shoes and boots for children on our new arrivals page. We’re always adding new styles of 100% Australian sheepskin shoes and boots for kids, whether it’s slippers, sneakers, pumps or boots. We update our range for children regularly and we’re always adding new color options such as more styles in classic blacks, browns and tans, or adding some color with reds, blues and pinks. Browse our newest shoes and boots for children from EMU Australia here. We love continuously updating our range of 100% real Australian sheepskin shoes and boots for the little ones, bringing them more options of classic sheepskin boots which you can also shop for mini-me chic, plus other leather and faux leather styles with cute details, such as ballerina style pumps and funky sneakers. Check our new arrivals page for the latest in comfy, cute, practical and durable shoes and boots for children, all of which are super durable and some are even water resistant or fully waterproof, ideal for adventurous little ones. Our EMU Australia soles are hard and long-lasting but also flexible, so ideal for first walkers. They’re also designed with a wave traction, which is great for children who like to run around, and we’re always adding styles that are Woolmark accredited to our new arrivals for kids page. Whichever style of shoe or boot you choose for the child in your life, be it a cool pump or chelsea style boot, we guarantee they’ll be wearing only the finest materials from EMU Australia. 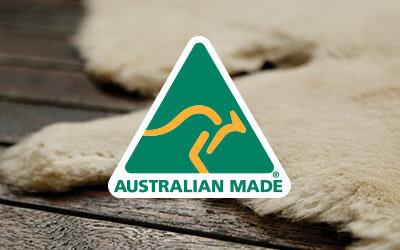 Our 100% natural and real Australian sheepskin is super durable, natural and breathable, and you can be sure little feet will feel completely comfortable in them. The breathable nature of our sheepskin means it keeps feet warm and cozy in the winter, but also cool and dry during summer, meaning it’s easy to keep the kids comfy which is important when the little ones can’t tell us. Our sheepskin is also water resistant so feet will stay dry in drizzle too. Whatever the weather, you’re sure to find a style that’ll delight the child in your life on our new arrivals page. We love adding new styles to out children’s range, such as adding cute prints, new colors, or new animals to our Little Creatures range.